Philosophy in the middle of the 20th Century, between 1920 and 1968, responded to the cataclysmic events of the time. Thinkers on the Right turned to authoritarian forms of nationalism in search of stable forms of collective identity, will, and purpose. Thinkers on the Left promoted egalitarian forms of humanism under the banner of international communism. Others saw these opposed tendencies as converging in the extinction of the individual and sought to retrieve the ideals of the Enlightenment in ways that critically acknowledged the contradictions of a liberal democracy racked by class, cultural, and racial conflict. 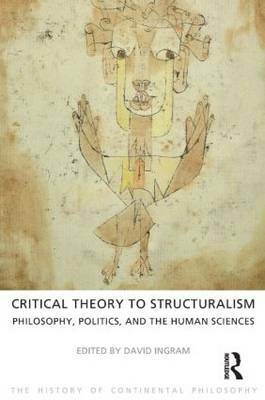 Key figures and movements discussed in this volume include Schmitt, Adorno and the Frankfurt School, Arendt, Benjamin, Bataille, French Marxism, Black Existentialism, Saussure and Structuralism, Levi Strauss, Lacan and Late Pragmatism. These individuals and schools of thought responded to this 'modernity crisis' in different ways, but largely focused on what they perceived to be liberal democracy's betrayal of its own rationalist ideals of freedom, equality, and fraternity.